About 2 months ago, my 1/43 Aston Martin DB5 was destroyed in a moment of carelessness. Well, I have finally gotten a proper replacement! 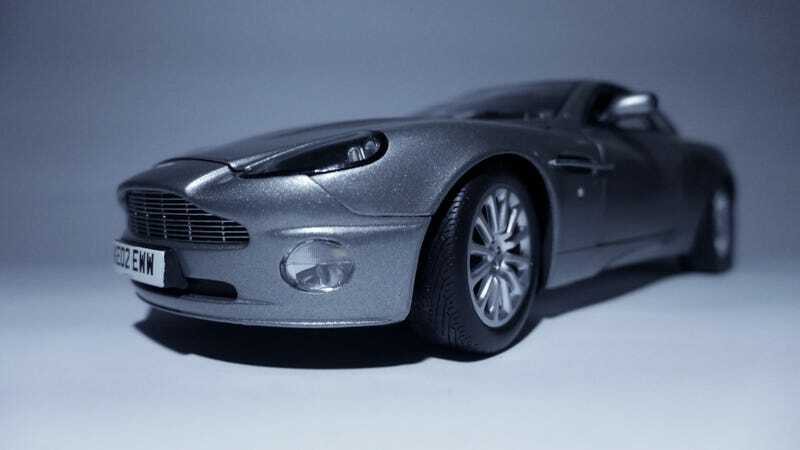 Yes, it isn't a DB5, but it is a remarkably accurate 1/18 scale model of the Vanquish used by James Bond in Die Another Day. It has been retrofitted with missiles and machine guns, target-seeking shotguns, a removable roof and an ejector seat. A full review of this gorgeous model will be done later this month, along with the AA NSX Type-R.